This week’s story time theme was getting ready for bed, so I featured common lullabies and books about getting ready for bed or sleep. I also featured one very popular bedtime story book that happens to be my favorite and may or may not have been the reason I chose this theme in the first place! 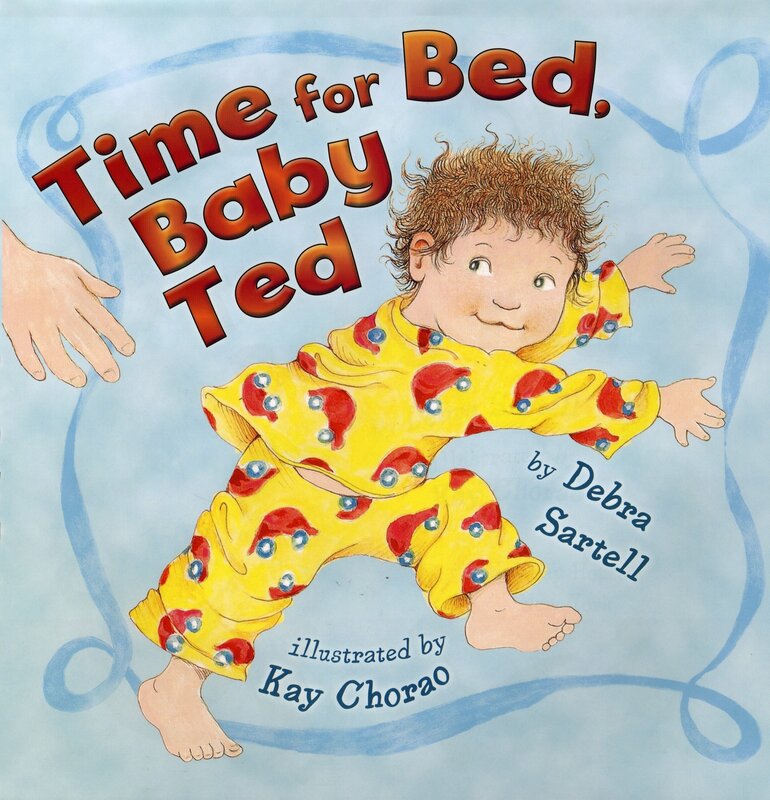 Then, we kicked off story time with our first book: Time for Bed, Baby Ted by Debra Sartell. Not only did I enjoy this book because it has a nice rhyme scheme and presents bedtime in a fun, new way, the kids loved it because they got to guess which animal Ted was pretending to be while he got ready for bed. The only animals that caused trouble (mainly just with my two year olds) were the seal and the mouse. They could identify all the others, and loved yelling out their answers as we worked our way through the book. I’d highly recommend this title. Teddy bear, teddy bear, sit down, please. 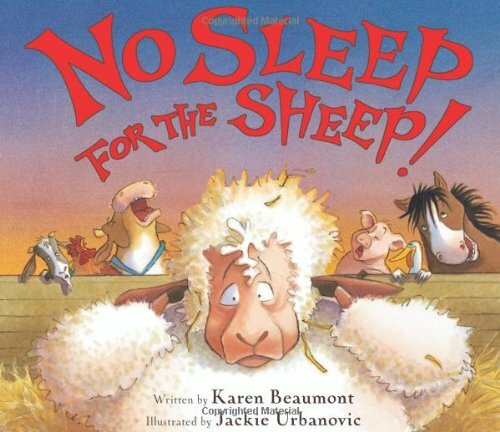 After that, we read No Sleep for the Sheep by Karen Beaumont. This was a pretty cute book that repeated nicely. The kids caught on, and liked to guess which animal would wake the sheep up next. Most of the time, they were spot on, so it was pretty fun. Other groups, however, got bored with the endless repeating. Then, we sang “Twinkle, Twinkle Little Star” and “Five Little Monkeys Jumping On the Bed,” which the kids really got into. 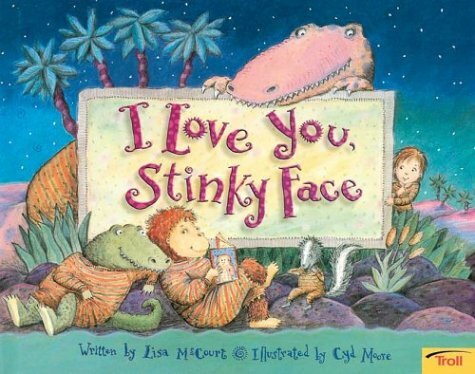 After that, we read what was (often) our last book: I Love You, Stinky Face by Lisa Mccourt. I love Stinky Face! I had never read these books until I was judging a storytelling competition in the spring of last year and one of the teens chose this book for her piece. I fell in love with the story, and I knew I had to do a story time with this book. Then, I discovered Happy Halloween, Stinky Face, Merry Christmas, Stinky Face, I Miss You, Stinky Face, and It’s Time for School, Stinky Face (which I almost included in my school story time a few weeks ago). So, you’ll see Stinky Face again in my blog for future story times. The kids enjoyed this book, particularly the alien that eats bugs instead of peanut butter, which was apparently the funniest thing ever! The teacher and some of the parents also smiled when I announced this book. It’s pretty well-known, but none of my kids has read it yet. 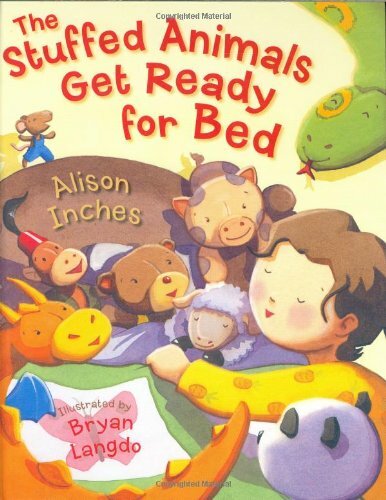 After that, we sang “Are You Sleeping/Frere Jacques” and our closing song “Goodbye, Goodbye.” For other story times with older kids, I sometimes read a fourth book: The Stuffed Animals Get Ready for Bed by Alison Inches. This is a pretty cute book about a boy with a rowdy bunch of stuffed animals who refuse to let him go to bed. The kids seemed to enjoy it. For our craft at my walk-in story time, we made sheep (so we could count them as we went to sleep). I ended up altering this craft a bit by making a white face and gluing googly eyes to it with a pink nose because it looked more sheep-like because my co-workers thought it looked more like a mouse than a sheep when I made my first example. 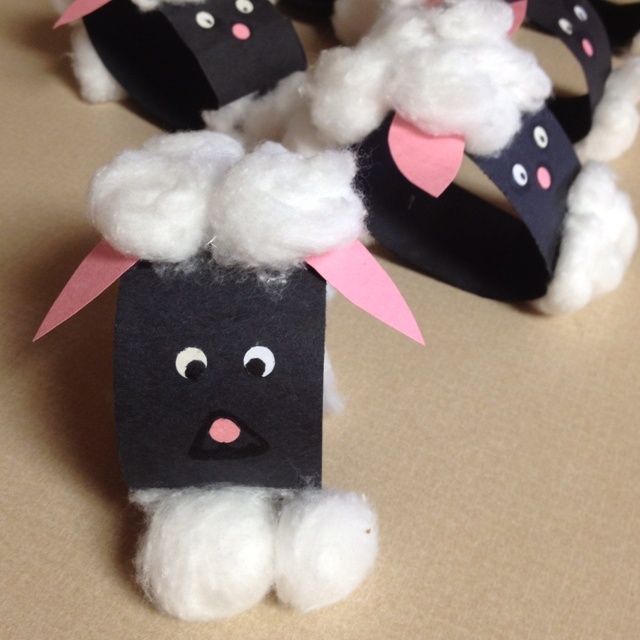 Overall, it was a quick and easy craft, and the kids loved making their sheep nice and fluffy with the cotton balls.